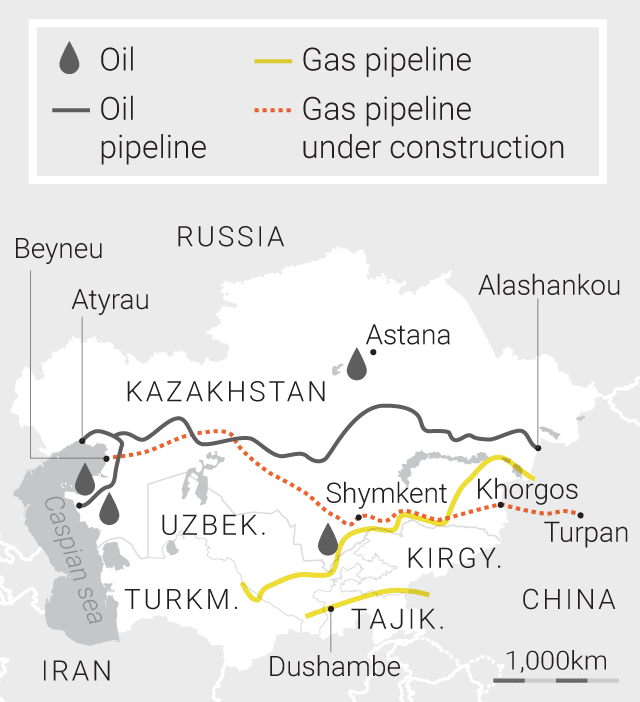 The Central Asia–China Gas Pipeline is a natural gas pipeline system developed as an extension of an earlier pipeline begun by the Soviets when a huge natural gas deposit was discovered in Turkmenistan’s Dzharkak field in the Amu Darya Basin. 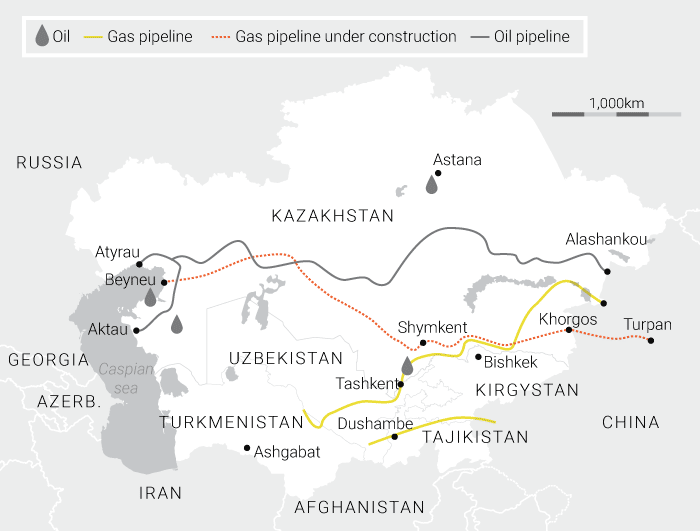 The original pipelines were laid between 1960 and 1988 connecting Turkmenistan to Russia via Uzbekistan and Kazakhstan. The first of these pipelines was completed in 2009 the second followed a year later. 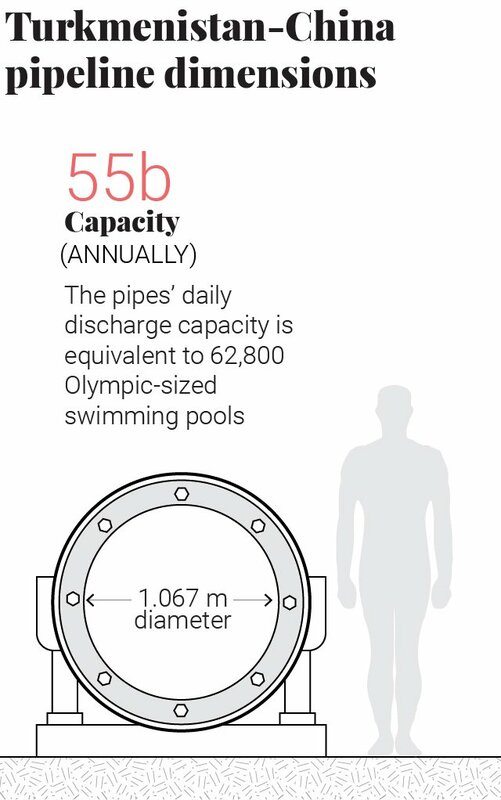 The third pipeline became operational in 2014, after taking two years to build. Construction of a fourth pipeline, Line D, is currently underway. It will connecting Beyneu on the eastern coast of the Caspian Sea to the central facility of Shymkent. From Shymkent the gas will be directed to Turpan in Xinjiang, China. Line D will provide China with an additional 15 billion cubic metres on top of the 55 billion it already imports from Turkmenistan. 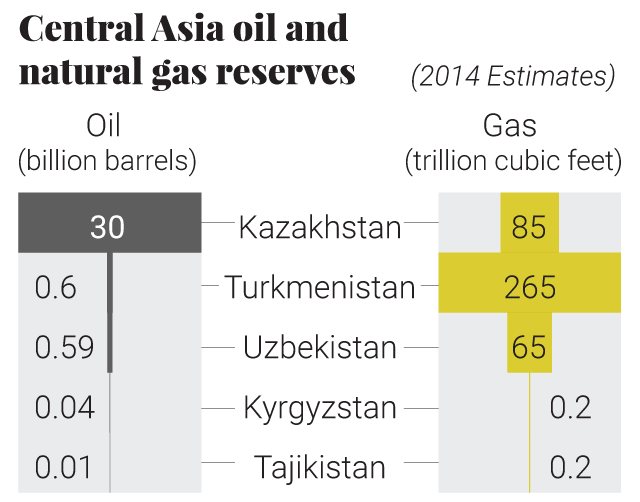 According to China National Petroleum Corporation, the inflow of Turkmen gas helps China meet its energy demands and stabilise the country’s overall consumption structure. It is hoped the pipeline will boost the natural gas proportion of China’s energy consumption by 2 percent and help reduce pollution. 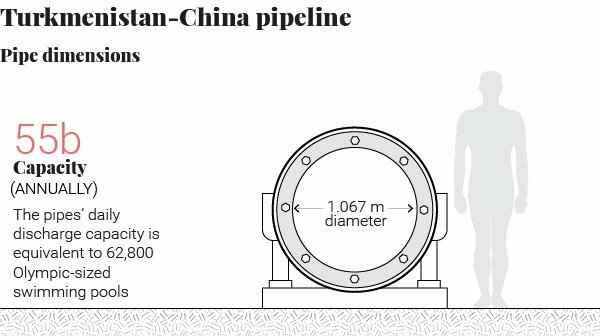 The Chinese commitment has given Turkmenistan’s energy sector a much-needed boost, not just through increased production but by also bringing Turkmenistan’s vast natural resources to market via the Central Asia-China Gas Pipeline.